Through Tiger Woods’ 11 years in the wilderness between major tournament wins, professional golf searched for a successor. Jay Monahan, the commissioner of the PGA Tour, believes the sport is well positioned to capitalize on the re-emergence of Woods. He pointed to the new schedule, with the PGA Championship held in May, and a long-term, $ 2 billion international television rights agreement with Discovery. By most metrics, golf peaked in the early 2000s, at the height of the first Tigermania. According to Gallup, in 2000, 5% of Americans surveyed said golf was their favorite sport to watch. By 2017, that number was 1%. Golf was tied with volleyball, boxing, gymnastics, motocross, figure skating and rodeo. According to the Sports and Fitness Industry Association, 29.5 million Americans played a round of golf in 2007. In 2017, that number was 23.8 million, a decline of 19.3% . Unlike most other sports, which believe fans respond most to parity, Woods’ dominance was electrifying for golf. From June 1997 — when he first became the world’s No. 1-ranked golfer — to October 2010, only four golfers besides Woods were ranked No. 1, for a total of less than a year and a half. Woods was ranked first for two different five-year streaks in that time. The money available to golf professionals, however, continues to grow, and if Woods keeps winning, he will do something few athletes get to: Profit from the explosive growth in revenue that the athlete himself drove. In professional sports, athletes benefit from the stars of the preceding generation driving interest. Magic Johnson earned less than $ 24 million in his entire career; LeBron James earned $ 33 million this season. In 2019, the top prize at each tournament on the PGA Tour — even the Corales Puntacana Resort and Club Championship — is more than Woods earned for winning the 1997 Masters. The FedEx Cup bonus pool has doubled, to $ 70 million. The massive growth in professional golf’s revenue over the past two decades is not due solely to Woods, but he was certainly its biggest driver. 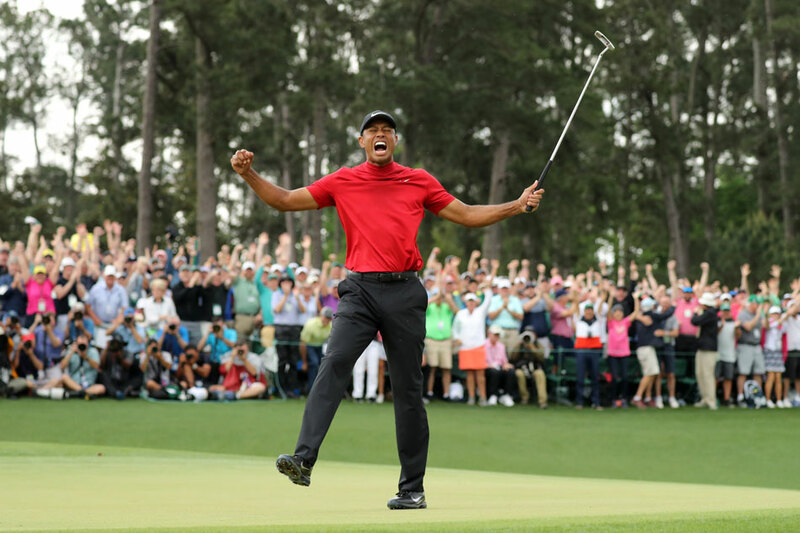 In the nearly 11 years between major wins for Woods, in which he was revealed to be a serial adulterer, pleaded guilty to reckless driving, had four back surgeries and did not even enter a major for two years, numerous segments of the business of golf struggled. Three years later, Nike began manufacturing golf balls, and three years after that, golf clubs. Woods, who had used Titleist clubs, started using Nike equipment. But as Nike’s golf business crested with the Tiger wave, it too crashed amid Woods’ down years. As an endorser who at one point was collecting some $ 50 million a year in sponsorship deals, Woods had what marketing experts call a “golden halo effect,” Derdenger said. Initially, people wanted to buy products associated with Woods because they aspired to identify with him. Those deals largely went away after Woods’ sordid 2009, but if the halo effect returns, so will the sponsorships. Whether those viewers included minorities who will become golfers, as so many predicted in the late 1990s, is another question. According to the National Golf Foundation, minorities in 2017 made up 18 percent of all U.S. golfers, while they made up 25 percent of new golfers. Two decades ago, just 6 percent of new golfers were minorities.